If you are looking for the perfect weather app, let me save you the trouble of reading all those roundups out there: there isn't one. They are all flawed. And it's not necessarily because of their design, functionality or support, but rather what they can -- and do -- often get wrong: the forecast. The forecast is based on information from a weather station that is usually miles and miles away. And while I have no doubt that you can get accurate predictions for that respective area, it's been my experience that things can be totally different in your area. So, how do you fix that? Enter the personal weather station. A personal weather station can solve the problem of inaccurate forecasts, as it uses the weather information from your exact location -- so you know exactly what the temperature, humidity, air pressure or wind speed is and get more accurate predictions based on that data. So if it rains, it won't tell you that it's partly sunny or cloudy, like some apps and services do. 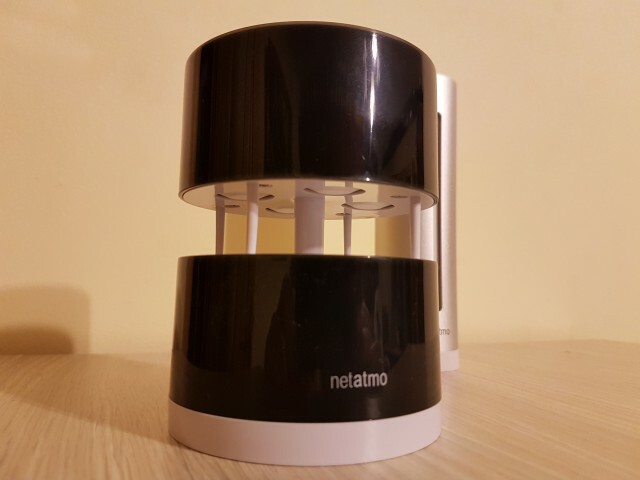 One of the most interesting options comes from Netatmo, which has a whole ecosystem of products built around its Weather Station. The core product is comprised of two modules, the indoor one that serves as the master for the setup and the outdoor module, which connects to it. The extra modules that Netatmo offers also connect to the indoor module. The setup is easy, and you can start it from your smartphone or PC. You can easily add new modules as you need them. 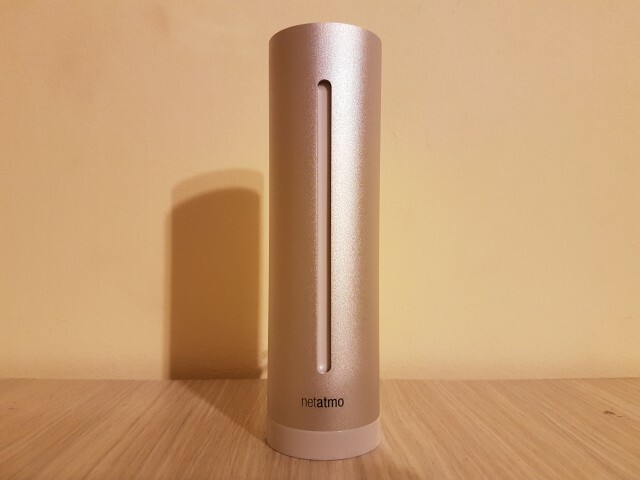 In fact, the ease of use and setup is probably the most attractive thing about Netatmo's products. This is the most important part when setting up the weather station. Why? Because if you get the placement right, you will get accurate results. Get it wrong and you'll soon wonder why it's so hot outside when it's near freezing. The indoor module can be placed anywhere inside your home, though it's obviously for the best if you keep it in a room that you want to get accurate data for. The kitchen or the bathroom, for instance, would be poor choices as the conditions can vary significantly within a the hour -- and they won't reflect the conditions in your bedroom or living room, for example. In my case, I put the indoor module on the nightstand, next to the bed. The outdoor module, on the other hand, is trickier to place. Ideally, you want to have it inside a box, that is raised from the ground, to keep it away from sunlight and shelter it from wind and rain. But who has something like that just lying around? This is where you might be tempted to just place it next to a window or some other place where you have easy access to. That would clearly be a mistake, because direct sunlight and contact with inside air can skew the results. For instance, if you have it outside of your kitchen window, every time you open the window you will let hot air out and warm the outside module. That, in turn, makes it report higher temperatures. I live in an apartment, so my options with regards to placement in this case are limited. At least until I can construct or find a box that works, that I could hang outside, I decided to place the outdoor module in the outside wall. There's a cutout in the wall that I can access from inside my apartment, which allows the module to be in direct contact with the outside air yet shields it from sunlight, rain and wind. Let's start with the indoor module first. Contrary to my expectations, I find that I rely on it much more than on the outdoor module. As I work from home, and spend most of my time inside, it is more useful, more of the time. It records the temperature, humidity, air pressure and CO2 and sound levels. The CO2 level in particular is very useful in my case. Based on the readings and the alerts the module sends, I know when it's time to crack open a window to let some fresh air in. I know how that may sound, but as I spend so much time inside every day it's easy to get used to the conditions and forget to air the room. It's also made me more aware of how quickly the CO2 level in my room can rise through the day -- especially at night. What about the other metrics? Well, those depend on a number of factors, like where you live, how your home is built and so on. In my case, humidity stays relatively constant and so does the air pressure, but the temperature changes -- as is to be expected. Here's a tidbit: using the sound recordings you can see when you -- or someone else in the room -- woke up during the night or gets ready for work in the morning. Because the placement is not ideal and I do not trust it enough, I cannot yet provide a fair assessment for the outdoor module. However, based on what I have seen it delivers more realistic information when it comes to the outside temperature than weather apps do. I will have more information in a follow-up story, where I will also discuss a third module -- the wind gauge. The wind gauge setup is easier, but different to the outdoor module in the sense that you can -- according to Netatmo -- have it exposed to the environment more. You can see how it looks above, without the mounting hardware. The information that the indoor module -- and the outdoor module as well -- records can be seen in the Netatmo app but also on Netatmo's website. The latter shows measurements for 24 hour intervals, whereas the former only shows the real-time information. Because I spend a lot of time in front on my PC, I prefer to use the website. That said, the app does have some benefits. On Android, you get some nice widgets with all the relevant data from the modules. Each module gets its own widget, so you can mix and match as you want. Before I received the weather station I thought that getting accurate results would be super easy. Obviously, I underestimated the situation, because in the case of the modules meant to be installed outdoor you need to put some effort into the setup for it to truly be effective. So, consider this a first-impressions report on the Netatmo Weather Station, and not a full review. Next, I will cover how to install the wind gauge and a better placement for the outdoor module, and I will also provide more information on their accuracy. I also plan another article where I will discuss how the setup behaves over time.